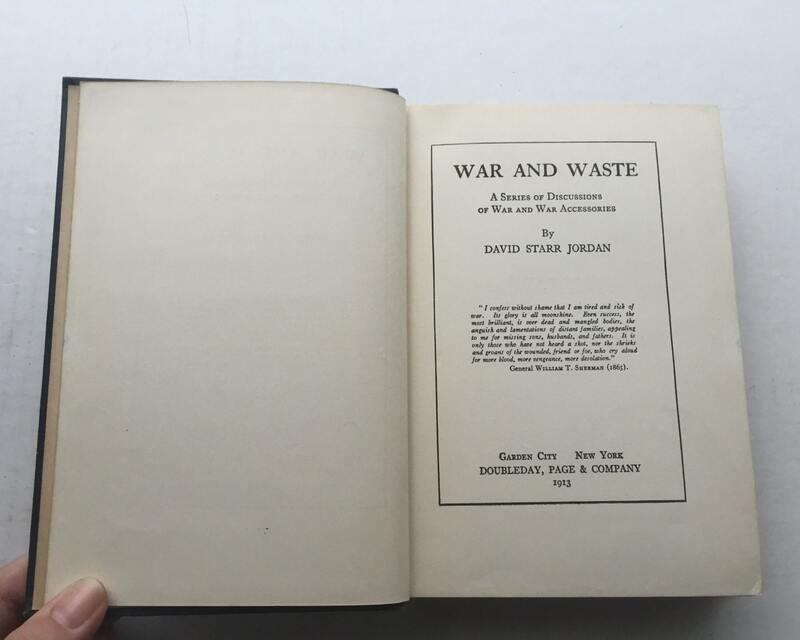 War and Waste by David Starr Jordan is a series of lectures delivered on War and War Accessories. It is anti-war and the war machine. Much of the material is still thought provoking today, though some of it very dated as he was a proponent of 'eugenics'. Jordan was a scholar, educator, and scientist, specializing in ichthyology. His legacy has high spots and dark spots (he apparently helped cover up a murder). Fascinating piece of history. 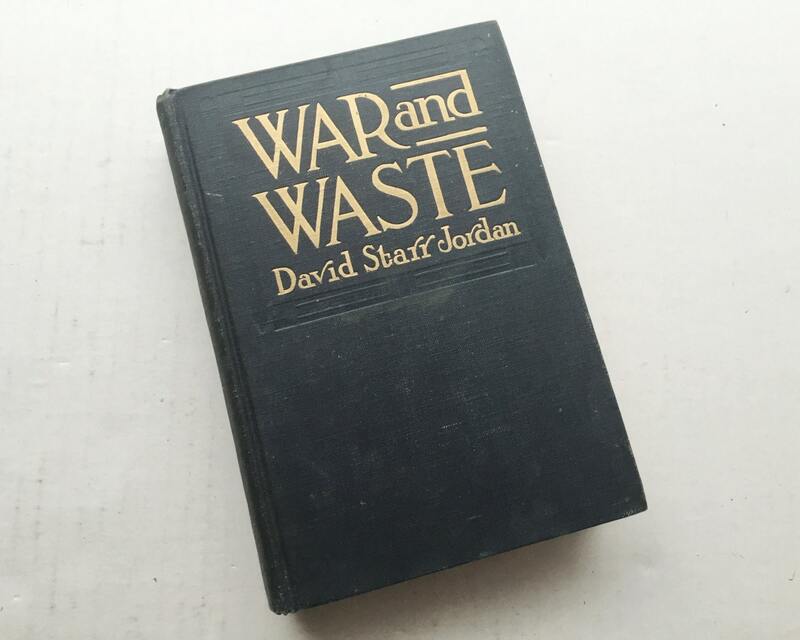 This edition is a FIRST EDITION. 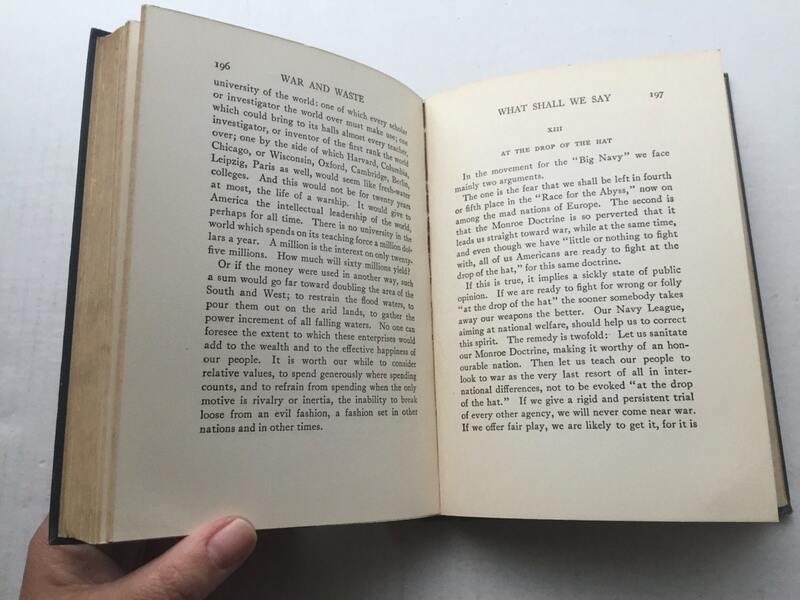 It was published by Doubleday, Page & Co in 1913, and the material is copyrighted in 1912 from a series of lectures. 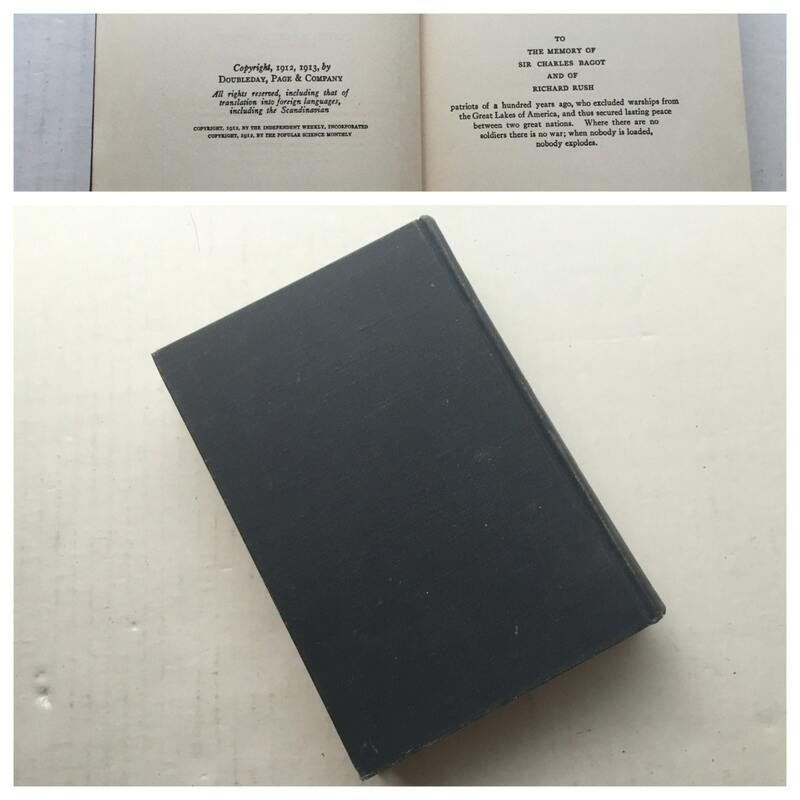 CONDITION: Good to Very Good - dark blue/black cloth covers with gold gilt. Some water spots on front cover, hard to see because of the dark color. Some bumping on the edges. 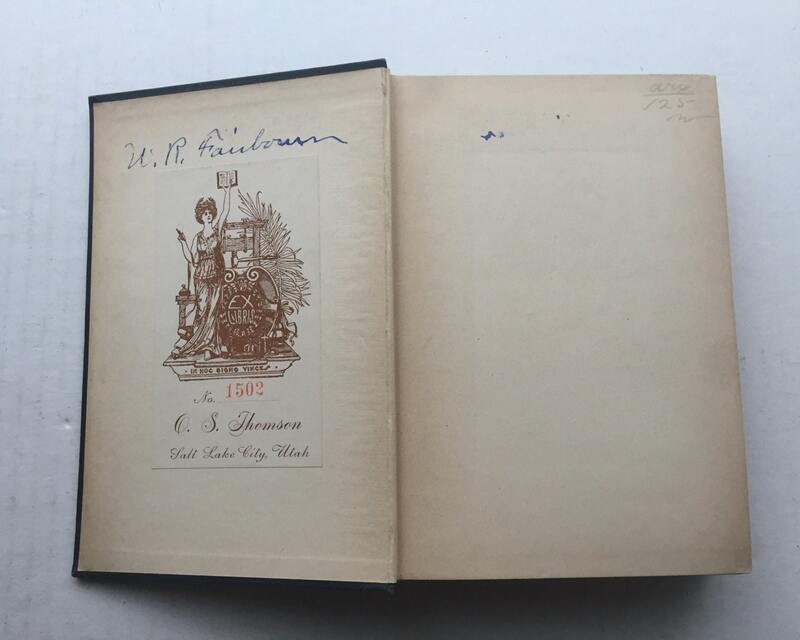 Nice book plate in end paper inside cover. Some cracking in the spine in the very center of the book. No foxing, good color on pages. SIZE: 5 inches by 7 1/2 inches.